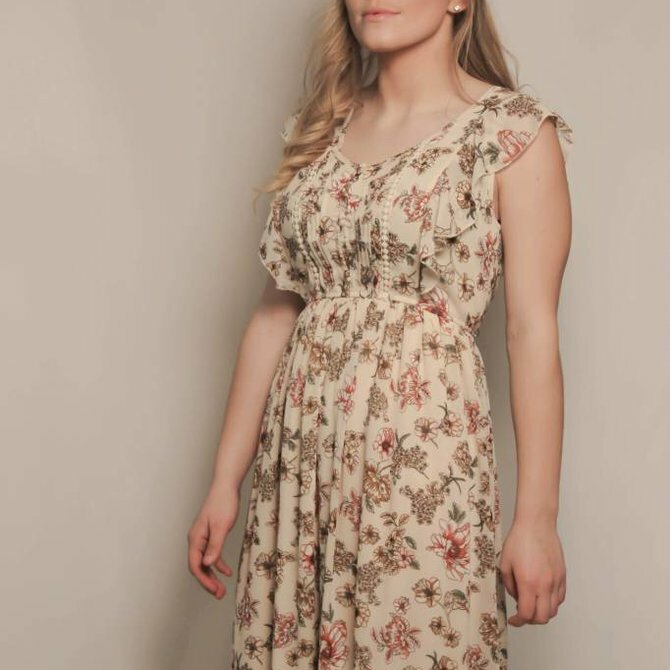 This beautiful dress by Elan has a wide gathered elastic waist that is breathable and relaxed. This sleeveless summer dress has pockets for a fun and flirty look. This dress from Aryeh has a classic vibe. It is completely light weight with ribbon trim through out the entire dress. The sleeves are 3/4 with a beautiful peak to give it a slight edge on a classic pattern. 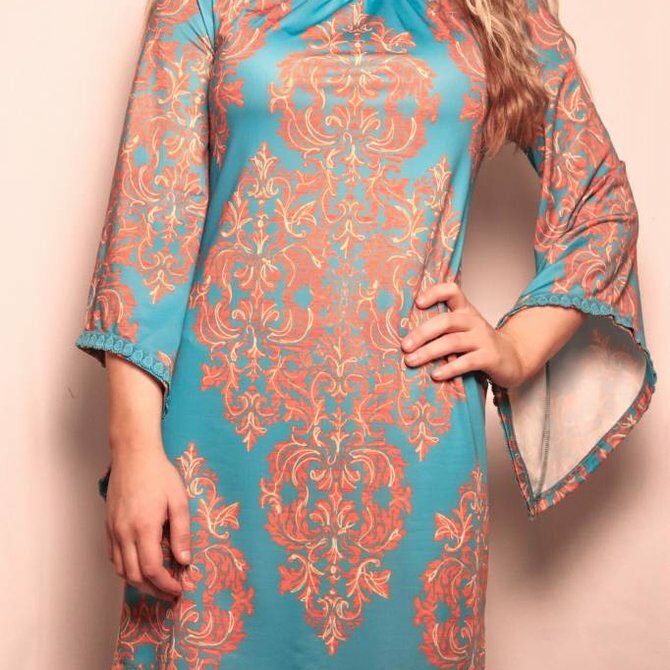 This tunic dress from Mystree is sure to flatter many. With the lace up front and burgundy tassels to accent the floral print design. This casual dress is perfect to jazz up any day to day routine. With its light airy feel, to the relaxed breathable material it is sure to make you feel fun and fashionable throughout your day. 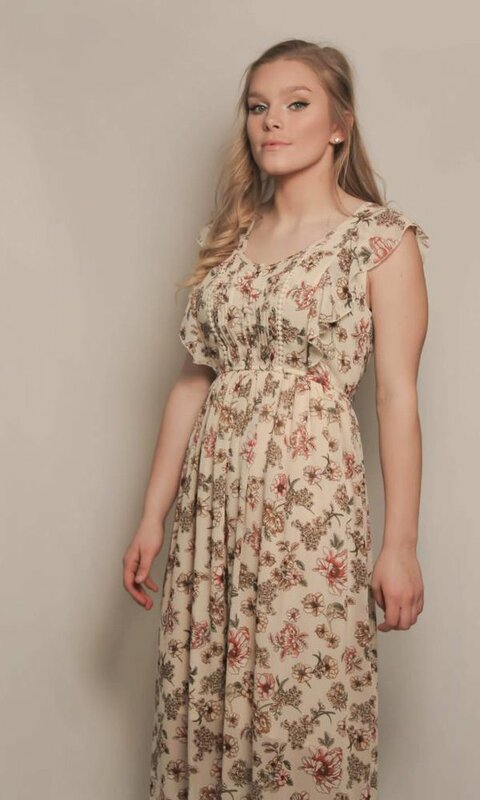 This stunning Mystree lightweight dress is beautiful with its ruffle shoulder sleeves with gathered elastic waist. This dress comes lined through the A-Line waist to above the knee.